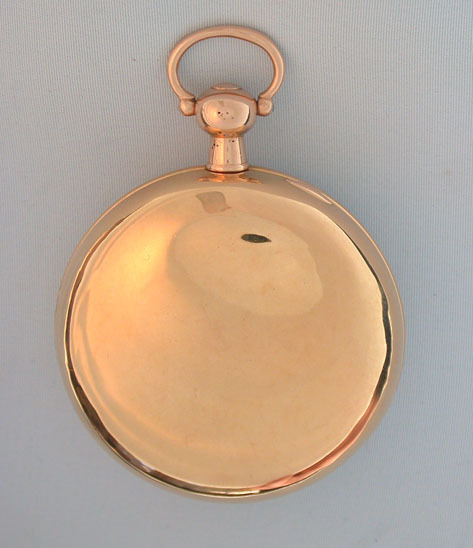 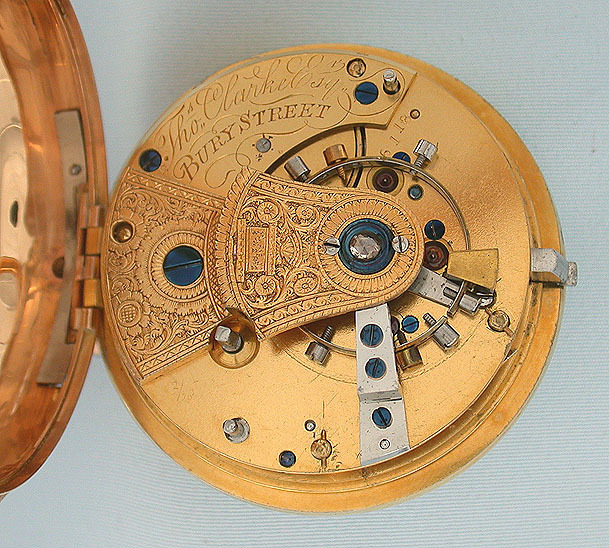 Fine English 18K gold cousular cased spring detent pocket chronometer with early use of platinum and gold timing screws, in particularly fine condition, by Thomas Clarke, London, circa 1808. 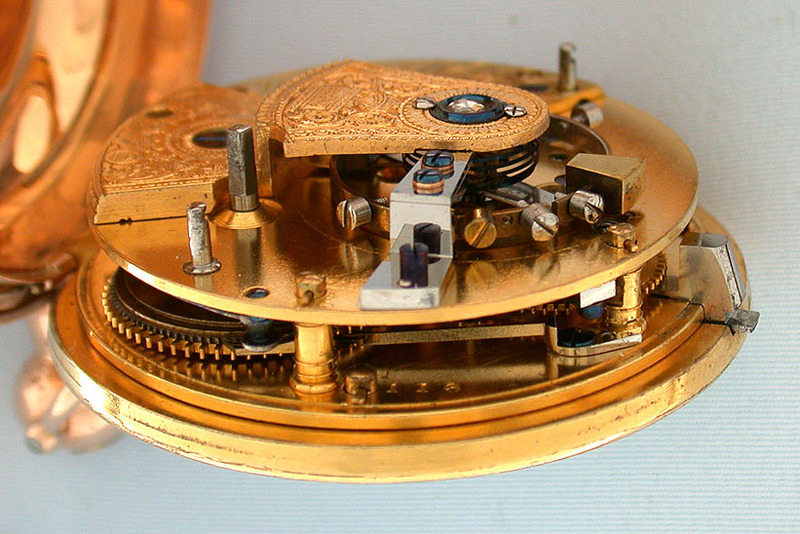 Full plate 15 jewel movement with screwed jewel settings, large diamond cap, helical hairspring, and dust cap. 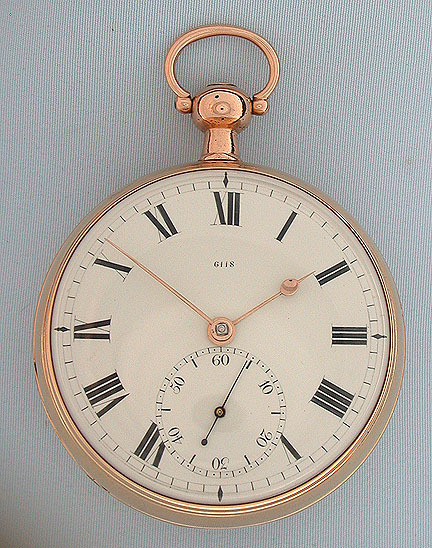 Fine white enamel dial with gold and blued steel hands. 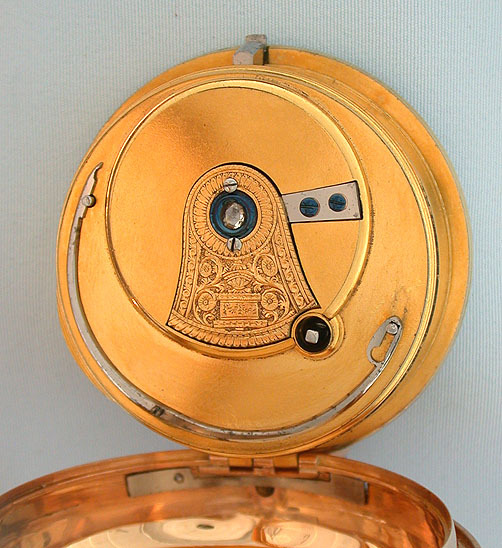 Plain polish spring hinged consular case (camera reflections).